We have a minimum order value of £15.00 excluding any delivery costs. Postage and Packing is currently FREE to all UK Mainland & Northern Ireland addresses. The delivery service will depend on the weight, size & value of your order. We aim to dispatch all orders within 3-5 working days of receipt. During busy periods or on the rare occasion that complications may occur it may be necessary to extend this lead time to 5-8 working days. We are unable to investigate or claim for loss of deliveries until 15 working days have passed since dispatch. We use PayPal for all our online payment processing. It's very secure, fast and you dont need to have a PayPal account, just a valid credit or debit card. If you prefer not to use PayPal, please telephone or email us and we will hold your order and take payment by card over the telephone. 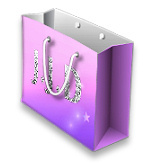 Here at J.J.D Cards we want all our customers to be satisfied with both the services & products they receive from us. Under the United Kingdoms Distance Selling regulations, you have the right to cancel the contract for the purchase of a product within 7 days of delivery. You should be aware that once we begin the delivery process, you would not be able to cancel any contract for services carried out by us, for example postage & packing. As soon as we receive notification of cancellation of your order, and the item(s) have beed returned to us in perfect condition, we will refund the purchase price for the item(s). Please re-package goods securely and send them back to us within 7 working days. For your protection we recommend that you use a recorded delivery service for returns, as we will not accept responsibility for goods lost in transit. If you are returning goods for reasons other than damage or defects, we will be happy to refund you for the returned item(s) providing the are in a re-sellable condition and in their original packaging. We have tried our best to match colours as closely as possible, however the colour photographs and/or illustrations on the website cannot always be an exact reproduction of the original articles. VAT No: 136 6736 92.